Grinding for real life loot is about to get a lot easier for diehard fans of Blizzard's dungeon crawler series, Diablo. 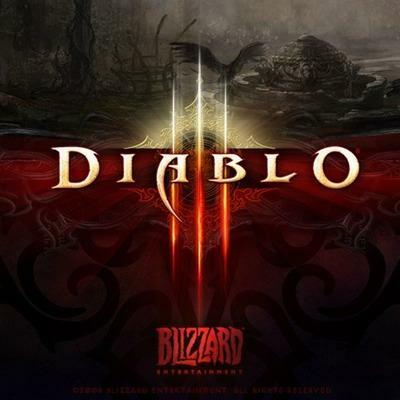 Diablo 3, it was revealed at a preview event last week, will feature in-game, real currency, player-to-player auctions. Read that: find a sweet sword, put it up for sale, receive real money from the highest bidder. According to Blizzard, in speaking with Joystiq, this had to happen. Players want it. As the feature points out, third party auctions for digital items between World of Warcraft and Diablo 2 are already happening on places like eBay. Why not take out the middle-man? Of course, Blizzard will also be earning a small cut of each sale made through this new auction feature. But, fingers crossed, gone are the days of random dudes running up to you, initiating a trade, showing off epic loot from their last Baal run and then closing the trade just for laughs. Instead, we'll now likely see an influx of players out to make a living off of grinding mobs down and cashing in on incredible drops. And we'll also probably see a wave of spammers, scammers and phishers looking to cash-in on this new type of market. This is something that Blizzard is hoping will catch on and spread to other games (the sales model, not the spammers, scammers and phishers).Vice President of Game Design Rob Pardo spoke about the attractive nature of the idea and how it may help other companies. "If this ended up being extremely successful, then I do think it suddenly plays as a new business mode…And I do think it's actually potentially a very healthy one. You're much more sharing with the playerbase rather than being in that typical model of, 'You have to buy from us, and we're just trying to figure out the way to get the most dollars out of customers.' I think if it's really successful, I think that's good for us and for other games that decide to go that direction." The idea's success will likely hinge on the players' drive to make it happen. If I had to guess, and I am, this will catch on for Blizzard titles like Diablo. Players will have a field day with the concept of making a ton of extra dough by playing a game they love. Though, there will almost certainly be those that absolutely hate the notion that other players are advancing in the game based on their fiscal abilities to win auctions.